It be that time again -- UPDATE time! 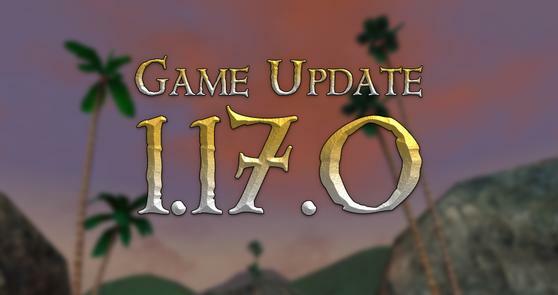 Game Update 1.17.0 is here with tons of new stuff for all ye vagabonds! Let’s break it down, shall we? In addition, thar also be the Seven Seas Repeater group - six new repeater pistols, ripe for the taking! On the bugfix front, we also got loads of things for ye! A ton of quest fixes are now live! Players missing the Raven’s Cove teleportation totem should find the quest in their journals! We’ve also fixed some pesky issues with dig spots! Finally, says I! Oh, and the kicker? Tons and tons of sailing fixes! We’ve reworked cannons completely. Did ye know that cannons were the #1 source of all crashing in the game? Why, THOUSANDS of ye would be crashin’ over those pesky things. That there issue has walked the plank! This ain’t all that we added, mates! For a full list of features, sail on over to our release notes page.